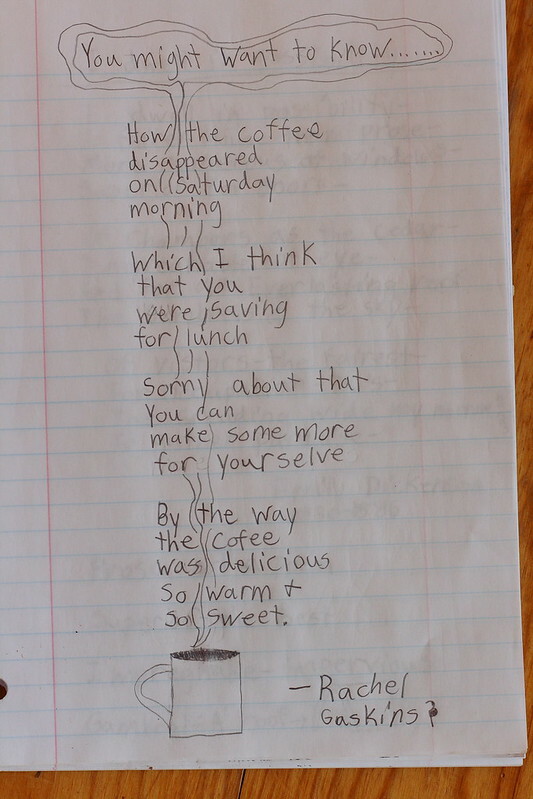 But Rachel enjoyed it so much that she immediately responded by writing her own poem. For years, the girls have loved Saturday mornings when Sid is home and drinking his coffee. Sidling up to Daddy to steal swigs of his coffee became an early ritual, from the time they were toddlers. She finished with her signature stick flamingo after her name. I like your poem Rachel. It made me smile. for years until you snap.